Why Do Change Agents Often Fail? When new initiatives are unleashed, it's very tempting to want to bring in someone who will "shake things up" or be a catalyst for change. It's also very risky. Studies show that up to 70% of change initiatives fail. So why does change take so long to unfold and why do so many change agents fail? Because as researcher Jeremy Dean writes in Psyblog, it's hard to influence a group as a new person. In fact, a recent research study showed that change agents "commonly face increased negativity and outright rejection" from groups they are attempting to change, no matter how diplomatically they introduce their ideas. The research shows that jumping in and trying to make a splash with new ideas is a very poor strategy. "Groups are hostile to criticism from newcomers and are likely to resist, dismiss or ignore it" ... until the newcomer first proves their loyalty to the group. Group norms are very powerful, changing behavior in unexpected ways, and breeding conformity. People who do not "learn the ropes" are ostracized. Leaders gain trust by first conforming to group norms, and then introducing change that others would willingly follow. That sounds pretty slow to me. But if that approach is too slow, and jumping in with new ideas is even less effective, then what is a clever change agent to do? "Attention continually reshapes the patterns of the brain ... People who practice a specialty every day literally think differently, through different sets of connections, than do people who don’t practice the specialty. In business, professionals in different functions --- finance, operations, legal, research and development, marketing, design, and human resources --- have physiological differences that prevent them from seeing the world the same way." That's right. Research shows that concentrating attention on a mental experience, over time, literally creates physical changes in brain structure. Therefore, an effective leader will concentrate attention using a solution-focused approach, introducing questions to help teams focus on identifying and creating new behaviors. Over time, the continual focus on new ways of thinking will create an environment where people have their own insights, and with a bit of positive reinforcement, these insights will change not only how people think short term, but will also create lasting changes in their perceptions. 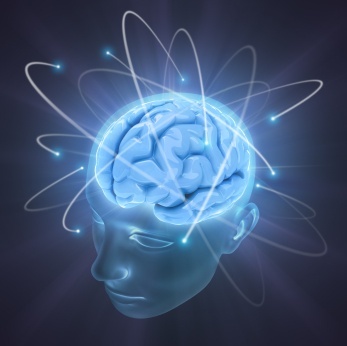 Literally rewiring the brains of your team. Powerful stuff - that's clearly a power to be used for good or for evil. For more research on the power of groupthink, read Avoiding Groupthink in the Hiring Process. For more perspective on this topic, read What Drives Employee Turnover?